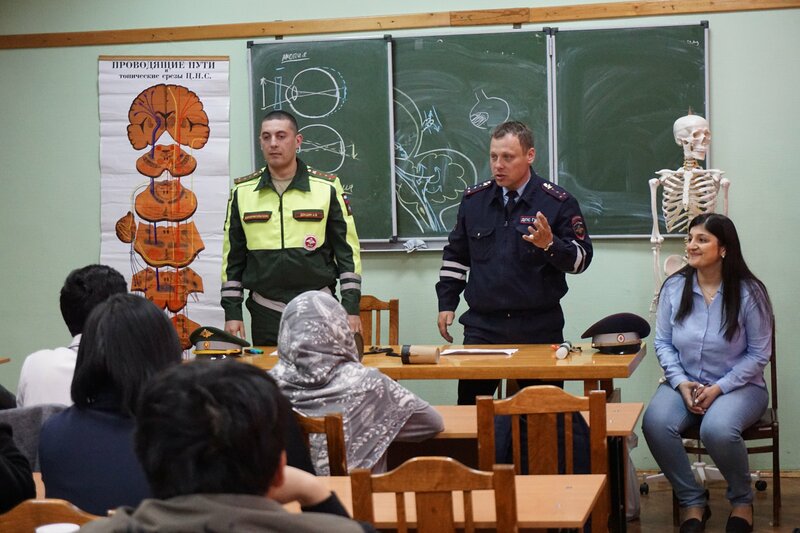 As part of the 4th United Nations Global Road Safety Week the officers of the Kursk state traffic police and military traffic police had a meeting with the foreign students of the Kursk state medical university on May 11, 2017. The primary focus of the work aimed at road safety ensuring and decrease of the injury rate in road traffic accidents was on the strengthening of the traffic discipline among road users, prevention and promotion of behavioral safety on the streets and roads. 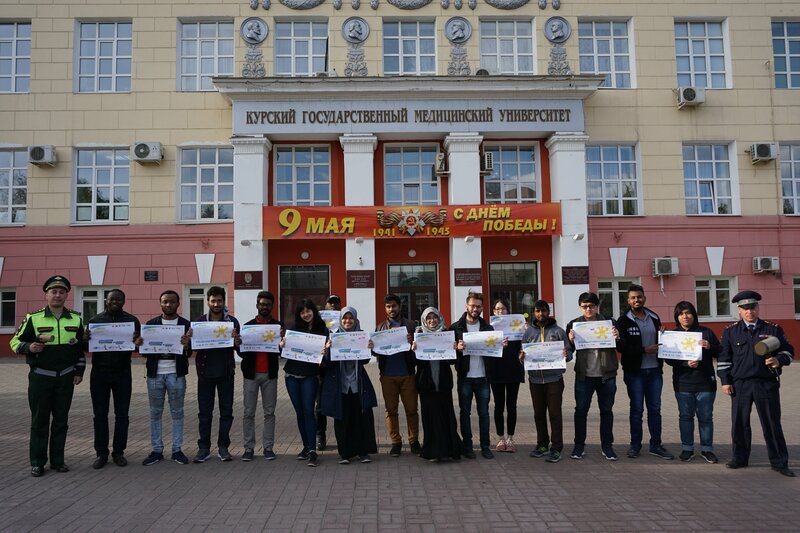 In the course of the meeting the foreign students were informed of the particularities of purchase, sale and registration of motor vehicles in the territory of the Russian Federation, the use of international driving license, and the services, ensuring the road safety.